Some analysts were expecting gold to form an early Daily Cycle Low. 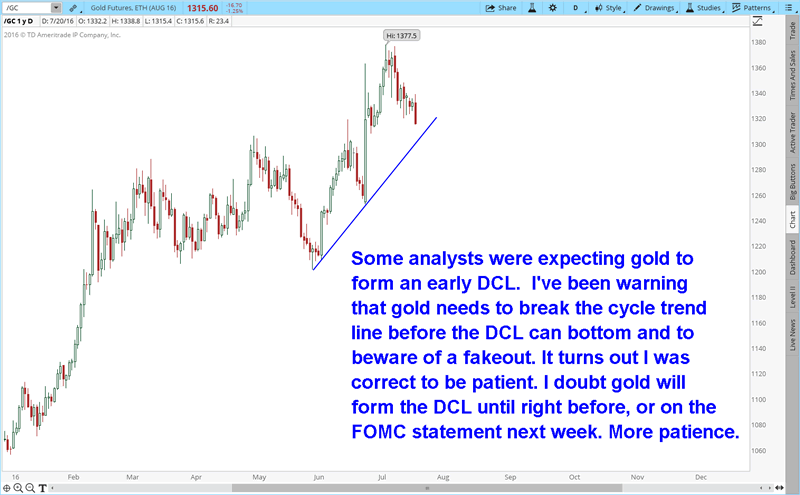 I’ve been warning that gold needs to break the cycle trend line before the DCL can bottom and to beware of a fake out. It turns out I was correct to be patient. I doubt gold will form the DCL until right before, or on the FOMC statement next week. More patience.